Want your own NuGet repo? Don’t want to pay for MyGet or similar? 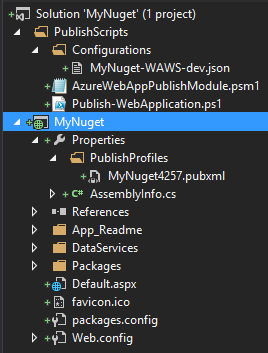 Creating your own nuget server could barely be any easier than it is now. Or use powershell, or msbuild to webdeploy, or ftp it somewhere, or keep it local – your call, buddy! If you haven’t configured an API key then the first visit page will alert you to this.